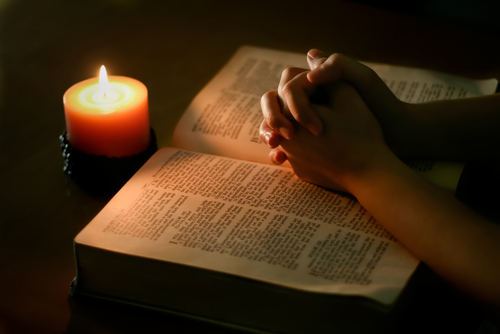 Prayers of the People IV (BCP 388-389) | Read. Pray. Love. Daily. Grant, Almighty God, that all who confess your Name may be united in your truth, live together in your love, and reveal your glory in the world. Guide the people of this land, and of all the nations, in the ways of justice and peace; that we may honor one another and serve the common good. Give us all a reverence for the earth as your own creation, that we may use its resources rightly in the service of others and to your honor and glory. Bless all whose lives are closely linked with ours, and grant that we may serve Christ in them, and love one another as he loves us. Comfort and heal all those who suffer in body, mind, or spirit; give them courage and hope in their troubles, and bring them the joy of your salvation. We commend to your mercy all who have died, that your will for them may be fulfilled; and we pray that we may share with all your saints in your eternal kingdom.